Arlington, Minnesota, is a town that thrives on Legion baseball. 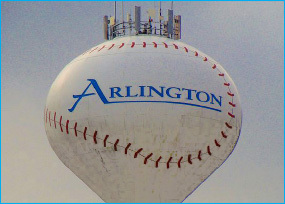 It’s easy to tell – all you have to do is to take one look at Arlington’s water tower, which is painted like a baseball sitting on top of a bat! It gives the city a unique identity that even draws major league players from the Minnesota Twins to come out and take their pictures in front of it. Liza Donabauer, Arlington’s City Administrator, appreciates what PeopleService has done to conserve energy, trim costs and support economic growth.